Oh that smile! Beautiful... and so FULL of joy!! Lovely! I can just hear that banjo! I LOVE the smile on her face! She is obviously having the time of her life singing and playing. 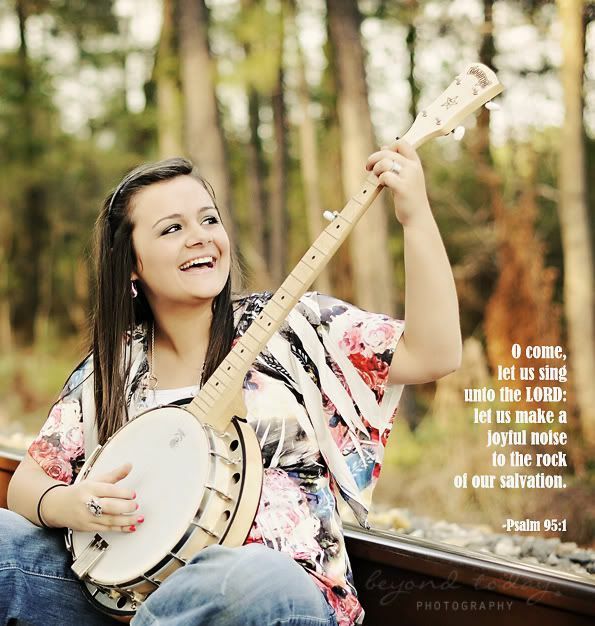 I'm sure she is making such a joyful noise to the Lord.